This meeting was facilitated by Dr. Holly Dublin, chairman of the IUCN/SSC African Elephant Specialist Group, the CITES Secretariat and the IUCN Regional Office for West Africa. Financial assistance from the Netherlands Committee for IUCN and the CITES Secretariat made the meeting possible. The purpose of the meeting was to provide up-to-date information on the development and progress of the system for monitoring the illegal killing of elephants (MIKE) and to study the possibility of implementation of this system in West Africa. All of the elephant Range states in West Africa, with the exception of Niger and Sierra Leone, participated in the meeting from 15-17 December 1999 at the Bayview Hotel in Accra. The Director of the Ghana Wildlife Department, Dr. Nick Ankudey, welcomed the participants and expressed the Ghanaian government's support for the MIKE programme. He described the background of the situation that led to the change of CITES Appendix for the elephant populations of three Southern African countries (Botswana, Namibia and Zimbabwe) and the steps taken by CITES for monitoring the impact of this change of appendix on other elephant populations in Africa, specifically, through the elephant trade information system (ETIS) and the system for monitoring the illegal killing of elephants (MIKE). He pointed out the difficulty of managing fragmented, small populations of elephants, a characteristic of the populations in West Africa and finished by wishing a successful meeting. Mr. Arzika M. Sani, representing the IUCN Regional Office for West Africa, introduced the IUCN team, expressed pleasure that this meeting was being held and wished that the meeting would be a propitious forum for discussion and strengthening of MIKE. He recalled IUCN's concern for the conservation and use of natural resources as well as the principles behind MIKE. On behalf of the CITES Secretariat, Dr. Malan Lindeque thanked IUCN, the African Elephant Specialist Group and the government of Ghana for their efforts in organizing this meeting. He described the events leading up to the meeting and reiterated his support for continuation of efforts already made for the development of MIKE. Dr. Dublin stated that the meeting was the follow-up of three dialogues of African elephant Range states. This session continued with introduction of the participants and discussion of the following topic. On behalf of the CITES Secretariat, Dr. Lindeque briefly described the history of CITES, specifically the conditions for adoption, its objectives and current membership. He emphasised the importance of national legislation for the implementation of CITES, which is also used to classify countries into three broad categories in accordance with their degree of implementation of the requirements of the Convention. He pointed out that discussions on the management of elephants have made it possible to attract attention to other species, including the grey parrot and the ball python, and led to important decisions at the tenth meeting of the CITES Conference of the Parties. Among these important decisions is authorisation for the experimental sale of ivory in a single shipment and under conditions, granted to three countries in Southern Africa (Botswana, Namibia and Zimbabwe). He encouraged all countries to register their ivory stocks, to complete and maintain forms for the registration of ivory and to make additional efforts to adopt adequate legislation. With reference to the registration of ivory stocks, the assistant coordinator for Africa encouraged countries to enter into contact with Côte d'Ivoire or Namibia in order to obtain advice on how to proceed. After this presentation, several delegates requested information on the mechanisms set up by CITES to assist countries that are having difficulty establishing adequate national legislation. CITES was specifically requested to provide specialised assistance to countries that have national legislation in the third category. Participants also requested information from CITES on the current status of the non-commercial sale by the 14 countries that were required to register their ivory stocks. Questions were also raised by participants on the synergies that exist between CITES and other conventions. In reply, the CITES Secretariat pointed out that several organisations can assist countries for implementation of legislation. Countries were encouraged by the Secretariat to develop contacts for this. As for the allocation of specific funds, the Secretariat stated that very few replies have been received from donors. Countries were invited to study other ways of establishing financing that does not necessarily depend on donors. The Secretariat gave the example of trust funds using income generated by wildlife activities in Southern Africa. Regarding synergy with the other conventions, the Secretariat gave the example of its relations with the Convention on Biological Diversity, out of which a partnership is possible. Dr. Dublin described the elephant trade information system (ETIS), its original structure (BIDS) and the current system (ETIS). The Databank on Illegal Ivory (BIDS) was the system used by TRAFFIC to monitor ivory trade in cooperation with the Parties and CITES. BIDS was reviewed in 1992, and one of the major shortcomings identified in the system was the low involvement of the Parties. The establishment of ETIS, in accordance with Resolution Conf. 10.2, seeks to correct this shortcoming through the establishment of a new system. ETIS is an improved version of BIDS, incorporating data collection models and confiscation forms to provide CITES with important information. Dr. Dublin then described in detail the organisation of ETIS, current components, data collection models, confiscation forms and the relationship of this system with CITES, especially from the point of view of data communication and the preparation of national reports based on confiscations. Dr. Dublin also described types of national reporting and their contents. She pointed out information to include in the reports, including details on confiscations, stocks and management of information. The participants raised several questions: on the capacity of TRAFFIC to carry out surveys in the countries; on the ability of ETIS to identify trends in ivory trade before the next meeting of the CITES Conference of the Parties; on full registration of privately and government-held ivory stocks and their value; on the opening of a TRAFFIC office in West Africa; and on submission of national reports on confiscations. Any non-submission of reports means an absence of information to report. Several delegates pointed out that the procedures for adopting legislation in their countries takes considerable time and explained the delays in bringing legislation up to date. Replying to these questions, Dr. Dublin first emphasised that TRAFFIC uses information furnished by the Parties and that ETIS depends heavily on information provided by countries. This points out the importance of the forms sent to the Secretariat. These forms were provided to all Parties in 1998. In addition, because of financial constraints it will be impossible to open a TRAFFIC office in West Africa in the near future. She also described the difficulty for ETIS, because of insufficient data available, to furnish precise data on trends in ivory trade for the next meeting of the CITES Conference of the Parties. Referring to Resolution Conf. 10.2, she emphasised the importance of registering and monitoring ivory stocks held by private parties. Each country must closely monitor privately held stocks, which are potentially dangerous stocks that supply illegal ivory trade. There is a need to regulate trade in West Africa. Furthermore, the absence of data or reports also indicates shortcomings in efforts to obtain this information. TRAFFIC is now working to overcome this difficulty. Dr. Dublin recalled that the establishment of MIKE is a specific recommendation of the tenth meeting of the CITES Conference of the Parties and that its conception was entrusted to the CITES Secretariat, which has worked with IUCN on the technical aspects of this system. She also described the stages leading up to the adoption of the proposed system by the CITES Standing Committee at its meeting in February 1999. This system seeks to measure trends (any increase or decrease) of the illegal killing of elephants and to identify the factors that influence these trends. She described three possible technical scenarios for MIKE. The scenario that was chosen is based on the terms of Resolution Conf. 10.2 and is an intermediate scenario that made it possible to select 45 sites in Africa and 15 in Asia. The selection of sites (16 have been chosen in West Africa) is based on sampling and criteria such as management techniques, level of enforcement, the geographical position of the sites and the availability of data. The data to be gathered at MIKE sites are primarily numbers of elephants, trends, mortality rates and an evaluation of the effort of legal enforcement. She emphasised the importance of the ability to analyse data and to avoid false conclusions, especially in relation to the discovery of carcasses, surveillance efforts and the need to restrict activities such as forest exploitation and the creation of roads, which have direct impact on the habitat. Some participants questioned the importance of the means required to ensure the close monitoring of elephants, transportation requirements, communications and regulation. Funds for compensation in the management of conflicts between humans and elephants are also limited. In reply, Dr. Dublin proposed to study the activities that can be undertaken at the present time, while awaiting results from MIKE. With regard to equipment, provision was made in MIKE for this item, and this has led to a considerable increase in the amount of the proposed budget. As for compensation for damage caused by conflicts between humans and elephants, the solutions proposed for indemnification seem inappropriate because of the reality of insufficient resources available to governments. Dr. Lindeque added that the mechanism existing before the adoption of MIKE was also based on the collection of data and that the model had been sent to the interested Parties. He found the low level of transmission of information expected by the CITES Secretariat to be unfortunately low. With regard to the implementation strategy for MIKE, the use of a pilot phase has made it possible to begin several operations in southern and central Africa as well as in Asia. Several donors have been contacted for implementing similar phases in West Africa. 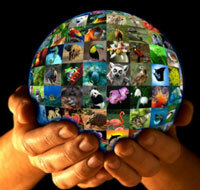 He informed participants of the creation by the CITES Standing Committee of a working group for implementation of MIKE. The working group is led by Saudi Arabia. He stated that much progress has been made and that it is expected that the programme will begin soon in West Africa, but pointed out that the only obstacle remaining is the question of financing. In reply to the question on the availability of financial resources for starting the programme, Dr. Lindeque stated that CITES prefers to use first the efforts of the countries that are the authors of these resolutions, before approaching donors to obtain additional support. Negotiations are also being held with financial mechanisms such as the GEF. The following questions were discussed and agreed upon by all of the participants. In accordance with the guidelines agreed upon, IUCN will assist in the adoption of any observations and this document by countries in the sub-region. Discussion of this subject was opened with an initial chance for everyone to comment and share information on the evolution of poaching in their country during the past two years. This exercise sought to define trends in poaching in each country using information furnished by the participants. Participants emphasised that the poaching of elephants has become a source for concern throughout the specie's distribution, except in the Malian part of the Gourma, where, because of several cultural considerations, poaching is not an important threat to elephants. The major reasons for this surge in poaching include political instability in the region and growing conflicts between humans and elephants. Nonetheless, the exact motivations for poaching are not well understood. Turning to the question of trade in ivory, several countries reported that ivory is sold in their countries at public markets. The ivory comes from other regions of the continent, especially Central Africa and farther away. At the same time, it was learned that several cities in West Africa, Kano in Nigeria and Accra in Ghana, have become transit points for ivory for international trade. In light of this information, the CITES Secretariat reiterated its request for transmission of information, the registration of ivory stocks, reinforcement of legislation for regulating ivory trade and punishment of arrested poachers. Choice of sites for the pilot phase in West Africa - There are a total of 16 sites selected for implementation of MIKE in West Africa. For the pilot phase, several of the 16 sites will be selected for experimental implementation of the process. During the selection phase, participants made proposals and defined criteria for the choice of experimental sites using four criteria: elephant population, balance between areas of savannah and forest, transborder considerations and existence of on-going projects. The following eight sites have been selected: Parc W/Pendjari (Benin, Burkina Faso, Niger), Mole National Park (Ghana), Marahoué and Taï (Côte d'Ivoire), Sapo (Liberia), Ziama (Guinea), Gourma (Burkina Faso, Mali). The delegates from each country concerned described the current situation at these sites, especially the activities under way and the status of elephants. Identification of the main partners - After selection of the sites for implementation of the pilot phase, the participants discussed the programmes under way at the selected sites. The list of potential partners is given in the following table. These are NGOs that have already intervened at the sites or donors that have already contributed or that intend to support conservation projects dealing with elephant conservation at the sites. Evaluation of enforcement measures - The participants discussed protection measures and surveillance methods in their countries. It became evident that with the exception of Nigeria, most of the countries must make additional efforts in order to conform their legislation with CITES regulations. The Secretariat stated that it has acquired new capacities in terms of human resources in order to support the countries that request it. Survey techniques - Presentations by Pauline Lindeque and Dr. Barnes made the participants aware of the techniques used in the savannah or forest for the counting and monitoring elephants. These are: monitoring by satellite, survey using the recording of sounds, and counting on the basis of droppings. This technique seems more effective in the savannah than aerial surveys. This method is also the best-known technique and has been the most widely used for surveys of forest elephants for the past several years. In addition to these elements, the representative of Nigeria described the use in his country of a relatively inexpensive and easily used method requiring motorised parachutes. Data analysis - This question concerns specifically the question of data analysis for MIKE at various levels, from sites where the data is collected up to the central unit at the continental level. It was agreed that the information gathered will be analysed at the site level in order to have data for management, then at the sub-regional level for consolidation and at the continental level by a central unit in order to meet other needs and making it possible to reach conclusions at the regional level. Sub-regional monitoring requires the compilation of information in order to verify which type of analysis is feasible at this level. It became clear also that the analysis of data at several levels can answer only some questions. The problem for the CITES Parties is a regional problem. Answers may require an approach that centralises and analyses information at the continental level. Identification of available technical resources - The delegates reviewed the technical qualifications and infrastructure available at the selected sites and the national level. In general and with additional training, the countries have the human resources required for the implementation of MIKE at the sites and at the national level. On the other hand, they stated their expectations in terms of material and additional equipment. The participants indicated the focal points at the national level, reserving the designation of site directors for later. The interest of this point was to emphasise the specific training needs both at the level of the focal points and at the level of the sites in order to ensure proper implementation of MIKE. The participants raised questions on the training required for the agents at the sites and at the focal points. It was proposed to have a biologist at the national level who would spend part (approximately 25 per cent) of his time on MIKE, while at the site level there would be a need for field staff who would spend approximately 50 per cent of their time for monitoring the activities of MIKE. The required personnel is available, but this personnel needs to be trained in the context of MIKE. The CITES Secretariat took advantage of this opportunity to inform the participants on the development of several training modules to meet this need. Coordination at the sub-regional level - As an introduction, Dr. Dublin provided information on the coordination structures identified in the other regions: IUCN in Southeast Asia and WCS in Central Africa. Dr. Lindeque stated the desire that this coordination be assured in the long term by the countries themselves and suggested that this responsibility be assigned during the pilot phase to an organisation already established (NGO or international organisation) that will contribute to the process of project preparation. After further discussion, the participants agreed to give this coordination to the IUCN Regional Office in West Africa. 1) A fourth dialogue of the African elephant Range states, before the 11th meeting of the CITES Conference of the Parties to discuss other important questions with the other African countries. 2) A preparatory meeting of the countries in the West African sub-region at the 11th meeting of the CITES Conference of the Parties to discuss questions of quotas, national legislation, ivory stocks and, above all, to organise the management of their concerns at the next meeting of the Conference of the Parties. Nigeria and Guinea offered to host this meeting in Abuja and Conakry. After discussion, it was agreed to hold the meeting in Nigeria. 3) A training meeting on questions concerning the reinforcement of the implementation of CITES regulations. This will be a training session for CITES Management Authorities to be organised in one of the countries of the sub-region. These stages are described in the following table. 12. ConclusionTowards the end of the meeting, participants expressed satisfaction with having discussed all items on the agenda and having achieved the results expected of this meeting. They thanked the government of Ghana, the Netherlands Committee for IUCN and the IUCN Regional Office for West Africa for their valuable contribution to the organisation of the meeting. All the participants agreed to discuss with field staff after returning to their countries and to keep informed their partners involved in the process at the sites.